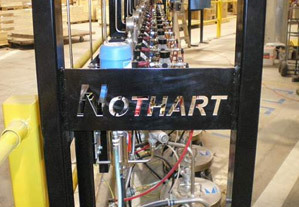 When Nothart opened it’s doors in 1953, it began a relationship with the many Consulting Engineers in Northwest Ontario, Manitoba, and Saskatchewan. These treasured connections form the heart of our business to this day. We are up for the challenges that cross your desk on a daily basis, and eager to share “best practices” while maintaining the confidentiality of proprietary configurations. We look forward to working with you as a valued partner in the success of your current and future process projects.